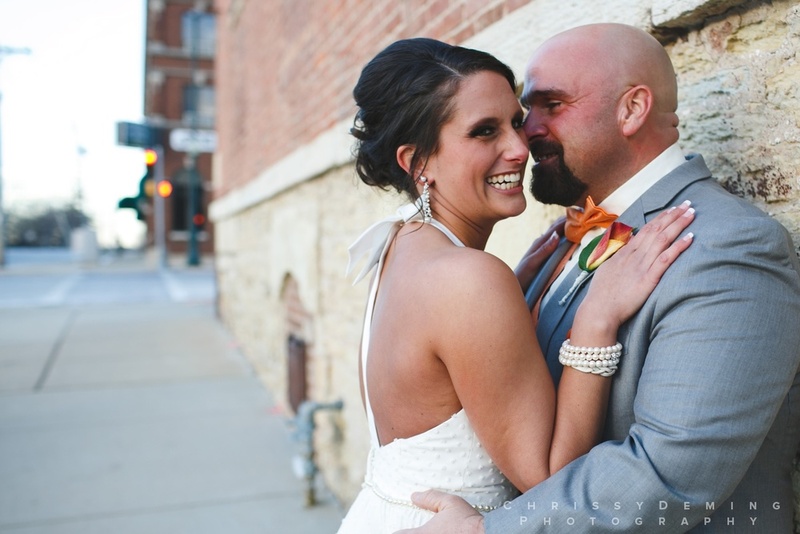 I kicked off the 2016 season early this year with Josh and Ashley's wonderful, cold, February wedding! The number 13 has been a recurring number throughout their relationship: They started dating April 13th, got married Feb 13th at 4:13, and now, they can add that it was 13*F during their outdoor wedding portrait time to that list! Congrats again, you two!! Thanks so much for being willing to get out in the cold! 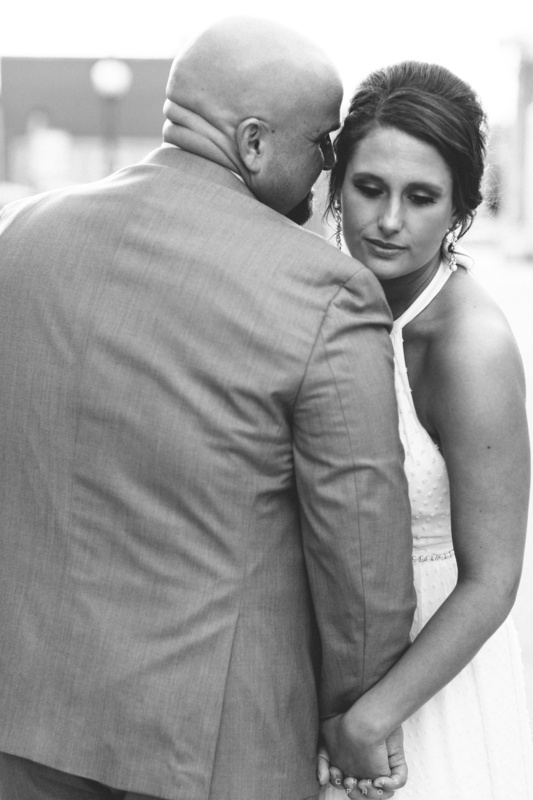 Ashley: We initially met at the Kishwaukee Family YMCA where Ashley was an intern and Josh was a patron. It wasn't until after a friends birthday party on Friday April 13th (4-13) on the corner of 9th and State St that we shared our first kiss, which is when our relationship officially started. On 4/13/16 we will be together for 4 years. Since our anniversary is 4-13 we started our wedding ceremony at 4:13 pm. Ashley: We went to dinner at Los Rancheros, where we had our first official date, with Ashley's parents. After dinner our friend was having a party at her house, the same house we shared our first kiss at. Josh proposed in the exact location of our first kiss, proceeded by me kissing him & jumping into his arms with excitement and accidentally giving him a bloody nose. 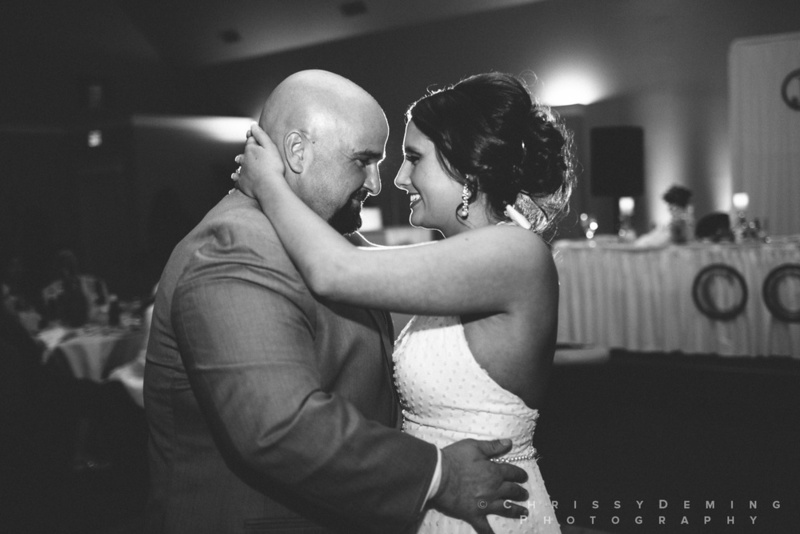 Josh had the party planned with all of their closest friends and family inside the house for after the proposal. Josh: Seeing my beautiful wife for the first time and how much fun everyone had. 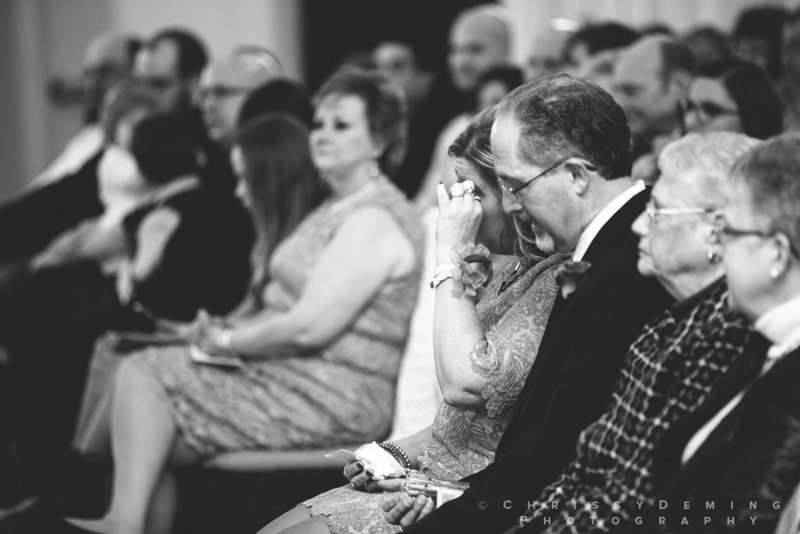 Ashley: Walking down the aisle with my dad and having everyone stare at me but only looking into Josh's eyes. Ashley: Try to enjoy it more, it is a very busy day and there is a lot going on and before you know it the day is over. I would've tried to spend more time enjoying every moment and soaked it all up more. Josh: Enjoy the day and take it all in. Ashley: Expect something to go wrong and remember that no one knows the plan but you so it's okay if something isn't perfect. My flowers were not the color I had expected but I didn't let one little thing ruin my day and in the end it didn't really matter what exact color the flowers were. We are planning to go to Playa del Carmen, Mexico on our 1-year anniversary to celebrate our honeymoon. Josh: It was worth waiting for! Ashley: It was amazing, all about us and very relaxed and enjoyable. Finding dependable and knowledgable people as vendors helps a lot. Chrissy and Seth fit in great and made us both feel more calm and able to be us, enjoy the day but still capture the photographs we wanted. Our dog is an important part of our lives and Chrissy gladly took photographs in the 13 degree weather of the 3 of us!